W e wrote some time ago about Gelibility gel polish, a product that changes your regular nail polish to gel nail polish. And we want to introduce you to another similar product called Infinite Color Palette Gel Kit. Create your own gel polish shades with Infinite Color Palette Kit. You can create your unlimited array of colors using nearly any regular nail polish. The gel polish made (about .5oz finished product), can cures in 30 seconds under LED or 2 minutes under UV. And it lasts for weeks without chipping or peeling. Save the remaining nail polish for pedicures & touch-ups. Also get creative by mixing colors or adding glitters! and a Color Display Ring. Just add your favorite polish! 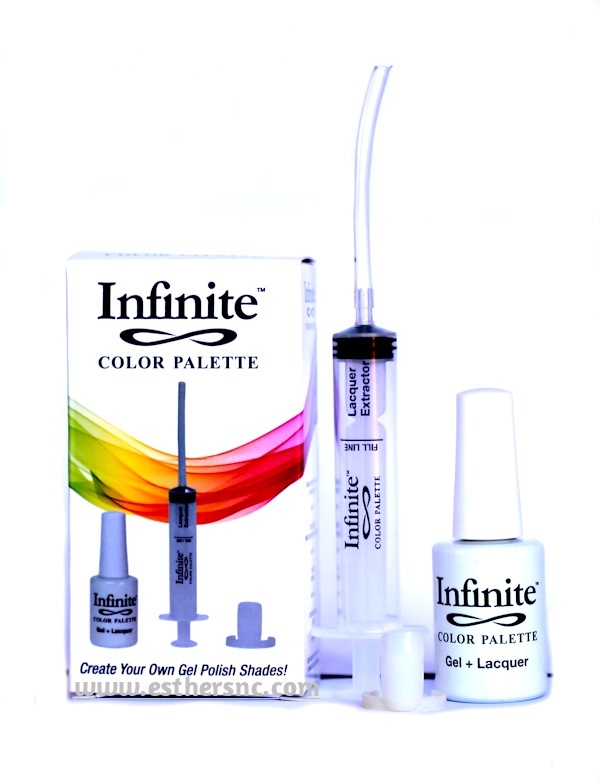 What makes Infinite different than Gelibility is the way it uses to create the gel polish. With Infinite, you need to use the polish extractor to take out a lot of nail polish and fill it into the Infinite bottle. With Gelibility, you use drops to create as much gel polish you want. Basically, they are the same. With Infinite I guess you can use couple drops to make little amount of gel polish too. 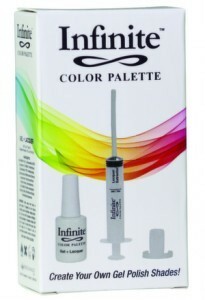 Watch instructional video at www.infinitecolorpalette.com or below. The kit is available at Esther’s Nail Center for $10.99. What do you think about Infinite?